Edelman has launched a specialist research and analytics subsidiary Edelman Berland in Hong Kong, providing strategic intelligence based on a range of market research services from media monitoring to online communities. Fergus Clarke (pictured), head of research for Edelman South Asia, Middle East & Africa has relocated from the Edelman Abu Dhabi office to Hong Kong to lead the new initiative. According to Edelman, its Hong Kong team is already working with “one multinational client and one local client”. 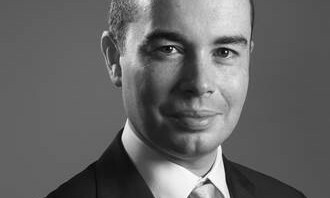 “The addition of Edelman Berland’s expertise in China means a significant upgrade in our ability to provide real-time analytics, benchmarking and insights, which in turn drives better programming and creative for clients,” said David Brain, president and CEO of Edelman Asia Pacific, Middle East & Africa. Commenting on the appointment, Clarke said measurement, tracking and analysis helps clients listen and engage with the stakeholder groups that matter. He said these groups included influencers, policy-shapers and employees. The subsidiary is expected to expand to Shanghai and Beijing in the near future. Floyd McMillan has replaced Clarke as head of Edelman Berland South Asia, Middle East & Africa. He will take over the responsibility of the agency’s growth in the region such as research and measurement for major local corporations, MNCs, government entities. "When this trust is compromised, we start to question each other's intentions based on our assumptions," Geraldine Wong, country h..
Mediacorp OOH Media has launched what it says is a first-of-a-kind 2D illuminated lightboxes for clients' campaigns. ..
Online media and advertising technology provider Innity has officially launched its operations in Taiwan as part of the group’s ex..